If you are looking for a high performance, state-of-the-art louvre window, you can’t go past the Altair Louvre. What sets our Altair Louvre apart from the rest? Altair Louvre Windows open twice as wide as any other window type allowing air conditioning and artificial lights to be turned off so you can live naturally. Extensively tested in accredited testing facilities for high wind, resistance to water penetration, bushfires, and fall prevention. Proven in the real world during everyday life and cyclones. Every order is custom made so we can offer the widest range of customising options. Hundreds of aluminium finishes, a variety of clip and handle colours, glass types, handle types, automation, security options to name a few. We’ve been doing this for a long time and have customer testimonials who can give you the confidence knowing Breezway is a brand you can trust. Your Breezway Louvre Windows are guaranteed against defects arising from faulty workmanship or materials for ten years from the date you receive the windows. We revolutionised window automation in 2007 with the Powerlouvre which is still the only window that can be easily automated without ugly external motors. Breezway’s Dualair System is a secondary glazed unit with sophisticated aesthetics and improved water penetration resistance, also ideal for projects with high sound or low u-value requirements. Keeping kids safe from falls is important. Often window openings are restricted to protect kids but can be hot and stuffy. Altair Louvres with the Stronghold System maximise ventilation while keeping your family safe. Also easy to clean safely from the inside. 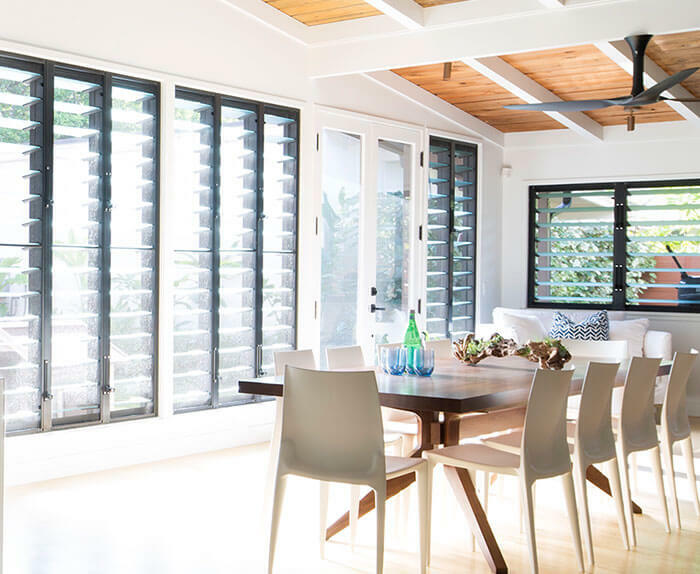 Are you looking for more information on Altair Louvres? Visit our FAQ page.